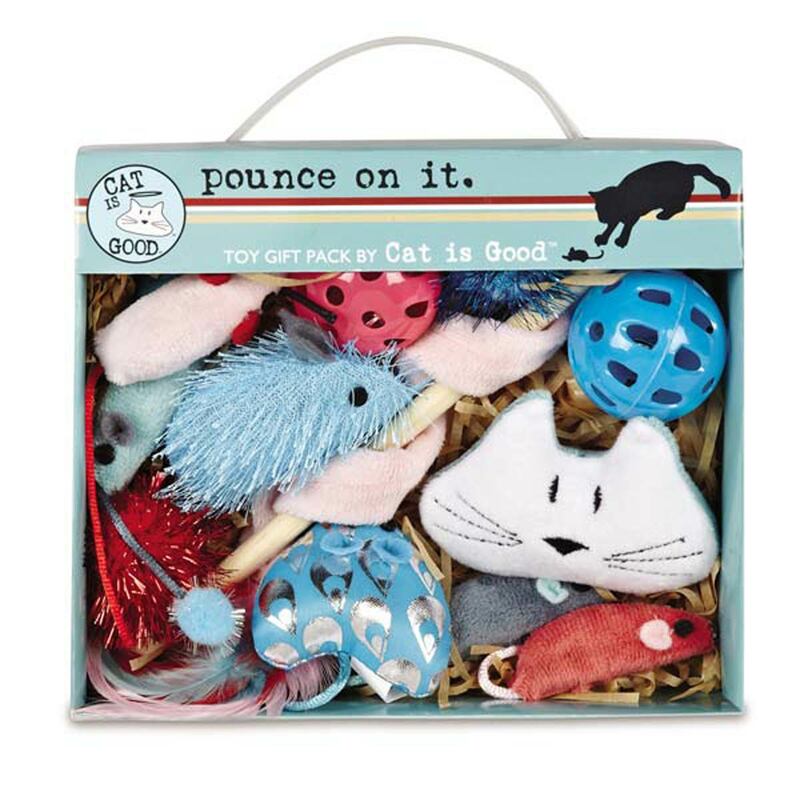 The Cat is Good™ "Pounce on It" 12-Piece Gift Pack has everything frolicsome felines favor! 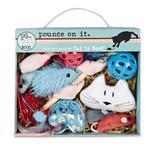 Selection includes toys that appeal to cats' love of jumping, chasing, pouncing, batting, grasping, and cuddling. Great gift for the holidays! Caution: Do not allow pet to play with toys if they become torn or damaged. Supervision is advised. Cat is Good Pounce on It 12-Piece Gift Pack Customer Photos - Send us your photo! Sydney loves to play with her toys. She especially enjoys it when others join in and throws her toys for her to retrieve. Worked out great I have a 7 month old male and a 7 month old female. My female likes to hog all the toys, this box has enough to keep her busy and leave some for my male.